I'm on and just seeing if anyone wants to play. Hey Everyone! I'd Love to play and interact with you fellow infinity fans as i'm a big fan of this game! I have Every figure (except about 3 crystal characters and obviously 2.0 figures XD) and i have NEARLY all the themed power discs! 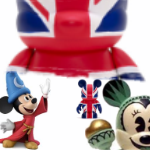 but yeah like i said would love to play with people on Disney Infinity sometime! 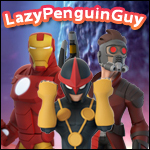 I'd also like to say that when Disney infinity 2.0 comes out i will be getting the Playstation 4 Version of the game, just thought i'd put that out there. Hopefully i'll see you in 1.0 and 2.0! Hey guys. I'm new here and I'm sorry if something like this was already posted, so don't hate me if you've already seen a post like these, please just direct me to the correct area. I'm going to be getting DI 2.0 for the PS4 when it comes out, I would love to be able to play with a group of people, so if you also plan to get DI 2.0 for your PS4, please send me a friend request on the PSN. My ID is LiNnSaNiTy15. If you do send me a request, please also include a short message in that request saying that you will be playing DI 2.0 on the PS4. 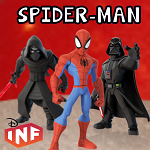 Hey, new to Disney Infinity and love it. 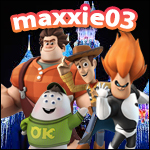 Add me on "ichigo2k9" with the message "Disney Infinity"